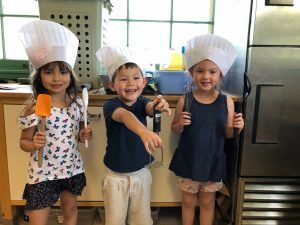 Home News Summer Camp Update – July 24! Pick Your Camp – Register Today! Join us for some good ole’ fashioned fun at our All About Animals Camp and Adventures on the Farm Camp which run every week throughout the summer at Frying Pan Farm Park! All About Animals: Learn about farm and forest animals on our working farm. Visits to the farm, nature hikes, games, songs and crafts are all daily activities. Camp is held in and around the historic, air conditioned Old Floris Schoolhouse at Frying Pan Farm Park. Register NOW! Ages 3-6, weekly throughout the summer! Adventures on the Farm: Enjoy outdoor adventures on this wonderful working farm circa 1930! Discover what life is like on the farm with activities such as goat milking and visits to the farm. Make homemade snacks and hand-churned ice cream in the air conditioned Old Floris Schoolhouse at Frying Pan Farm Park. Camp includes daily hikes, games and crafts. Also weekly Tie Dye Day & Water Day…Register NOW! Ages 6-10, weekly throughout the summer! Our Discovery Time Preschool Camps – Rocks & Minerals 8/6! Get all the details – Register Today!